Everyone faces the challenges of peer pressure. From childhood, right through to adulthood, both negative and positive effects can be felt. Theres a lot of research and science behind the influence others can have on us, and in this infographic, we look at how you can help your child navigate the demands of these everyday pressures. Armed with helpful knowledge about how peer pressure can influence decisions, how to recognise these situations and how to work out the best decision for you is a skill that can be learned. This infographic will set you and your child on the right path and make you more comfortable when peer pressure arises. This entry was posted in Random, WoodenToyShop Guides, Child Development, Informative Infographics on April 3, 2017 by Kerry Berry. Sure, you could go and buy some boxes, but the cardboard ones wont withstand those heavier toys and the plastic ones might look a bit out of place. Youll also probably have to stack them on top of each other which doesnt make for easy reaching for the kids. Some wooden toys might tolerate a bit of squashing but the plastic toys might break under the weight of stacking. So, what to do? 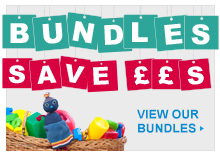 How to make the toys disappear without really disappearing? Ultimately, you want things to be tidy and easy to tidy, without looking out of place or being a danger to your children. Its their bedroom or playroom, not a loft. Yes, its possible to have a clean house AND have kids with toys. In fact, its more than possible. Its an exciting stroke of genius at how easily this can be achieved. Take a look at the infographic below for some fantastic ideas on how to bring order to the chaos and store your childrens toys with style. This entry was posted in Random, Wooden Toy News, WoodenToyShop Guides, News, Informative Infographics on November 25, 2016 by Kerry Berry. 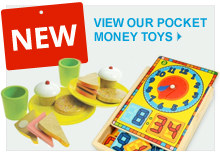 The Wooden Toy Shop sells a range of childrens gifts that are unique, educational & fun! Take a peek at our newest arrivals. 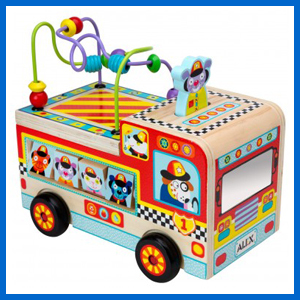 Our Wooden Activity Fire Engine helps to develop hand-eye coordination & visual simulation. This rolling busy fire engine has 8 activities. A perfect first ride on toy for little ones! 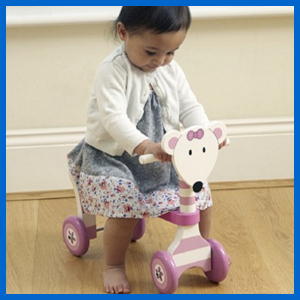 Our Pink Mouse Trike encourages children to learn to balance & helps build strength in their legs. 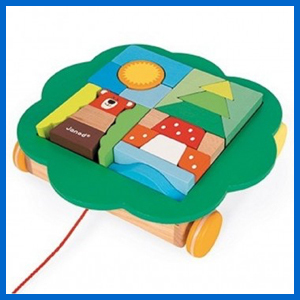 Children can assemble the beautiful nature themed blocks inside or outside the tree shaped Pull Along Trolley. A wonderful gift from French Toy company Janod. 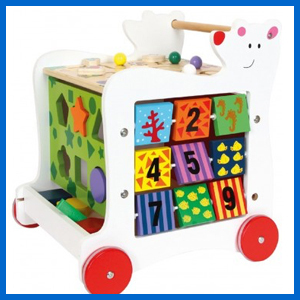 Our Baby Bear Activity Walker is a fantastic, imaginative wooden toy that encourages children to learn to walk whilst having oodles of fun! 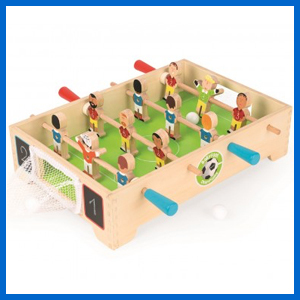 Have your very own championship competition in your own bedroom with our Mini Table Football Set perfect for all young football fanatics! 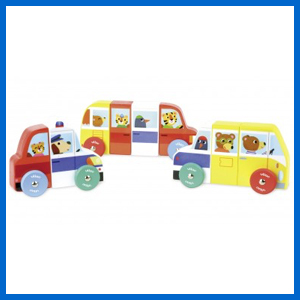 Children will love our Wooden Magnetic Cars Puzzle Set. With 9 magnetic connecting pieces, have lots of fun creating your own wacky cars! 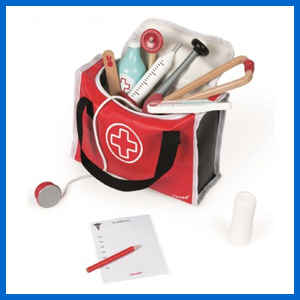 With 10 medical accessories our Janod Doctors Set has everything you need to look after all those sick teddies & dolls. Theyll get better in no time! 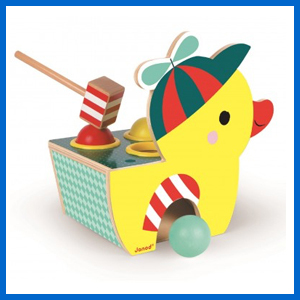 The Duck Frappa Ball Hammer Bench is a game of skill & is certain to delight little ones & encourages them to learn hand-eye coordination. 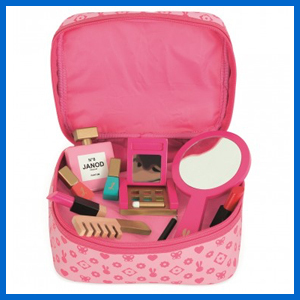 Our Little Miss Vanity Case is the perfect set for all those who love to dress up & play with make up. 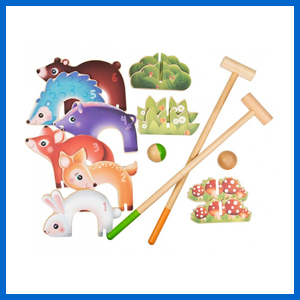 The set features 9 accessories Perfect for both indoor & outdoor play our Forest Animals Croquet Set features 6 numbered hoops that are painted in the shape of forest animals. This entry was posted in Random, Updates, Wooden Toy News, WoodenToyShop Guides, News on August 31, 2016 by Kerry Berry.